As dental tourism becomes more and more popular in Australia, it is no surprise that patients who need dental implants inquire and research about the dental implants Bali offers. Let us all find out the benefits that dental implants Bali offers compared to the implants we can get here at home. The most sought-after Bali dentists claim to have completed their dental studies and training experience in local and international institutions in the US, UK, and Canada. Indonesian dental professionals also claim to follow the strict health and safety standards of the Indonesian Department of Health. Some dentists practicing the use of dental implants further claim that they are part of the International Congress of Oral Implantologists (ICOI). Most patients who have undergone their dental implant placement in Indonesia gave high remarks on their reviews of Bali 911 Dental Clinic, Sunset Dental Clinic, and BIMC Hospital Dental Centre. These facilities are well-known dental clinics in Indonesia that offer more affordable dental services performed by high-calibre dental professionals and specialists. In Indonesia, dental implants cost can range from $1600 to $1800 (equivalent to Rp 17,500,000 to Rp 19,500,000). This fee quotation is 50% to 70% lower than the price estimate dental implants have in Australia which can hit $3000 to $7000. This fact alone is the very reason why travelling to Bali just to get your permanent teeth replacements sounds worth it. But is it, really? Know the package inclusion. Yes, Indonesian dental clinics may offer a price estimate that is astronomically lower than what was provided to you here but make sure you are getting what you paid for. Some clinics provide the placement of dental implants without the crown or abutment included, hence the low price. Know their safety travel warranty. A vacation on top of your dental procedure sounds enticing, right? But don’t let the allure of having a dental holiday blind you from neglecting your safety. Have your Bali doctor or dental clinic show you the procedure contract that includes information about your guaranteed safety throughout the whole dental process. Know the country’s safety standards and the facility’s adherence to it. Australia is known to follow very stringent safety standards set by the government and its Health Department. 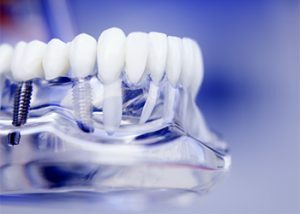 Investigate about the same safety regulations of the country you’re visiting and the reputation of your dental clinic in following these standards to ensure your safety. The quality of the dental appliance. There are now hundreds of manufacturers offering dental implants, some better than the others. Only a few have passed the standards Australia set for its dental implant manufacturers, so if you are to go to Indonesia and get your implants there, it is only fair and safe for you to inquire about the materials your Bali dentist is going to use on you. Avoid confusion caused by miscommunication. Sure, Bali dentists offering dental services claim that they are fluent in English and they trained internationally so communicating with foreigners is easy for them. But, there is no harm in reiterating your needs and getting confirmation time and again about the information you want to get until you are satisfied that all your preferences and realistic expectations are met. The length of time for the procedure. Dental implant placement needs several clinic visits before completion of the whole procedure. A two-week vacation in Bali sounds irresistible, but you have to remember that during those two weeks, visits to the dentist can also be aplenty, and the follow-ups and recovery can take up the whole vacation time instead. It is essential that you set your expectations straight. The complications post-procedure. One of the complaints we get for dental implants is having failed implant posts or occurrence of infection. If these complications occur, will you be able to go back to Indonesia to have your dentist check the condition of your implants? Think about the convenience you can get on top of your safety and comfort when you allow capable dentists at home to do the job instead.